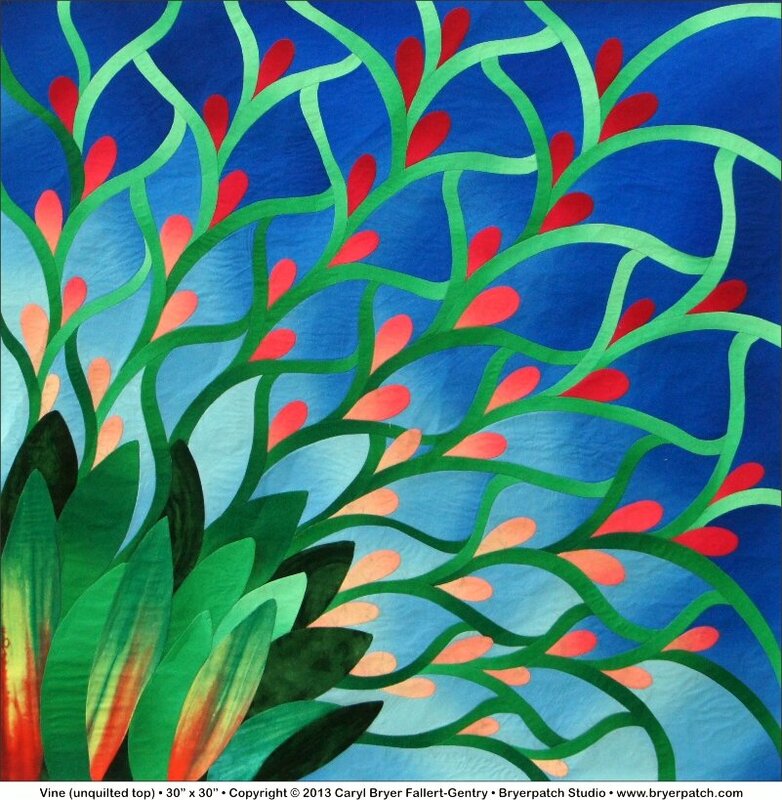 • Size: 51" x 63"
This is the second in a series of quilts in which three dimensional, constructed tucks are incorporated into curving, string pieced, background areas. 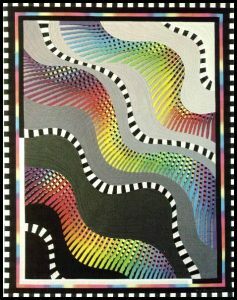 The fabric for the background strips was hand dyed in a 46 hue progression of pure rainbow colors. 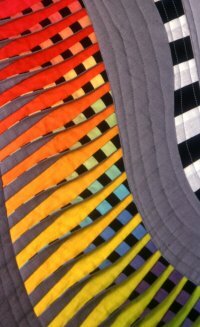 The top sides of the tucks were made from a striped fabric, overdyed in 12 rainbow hues. The black stripes read as checks on the 1/4" to 1/2" wide "tucks". 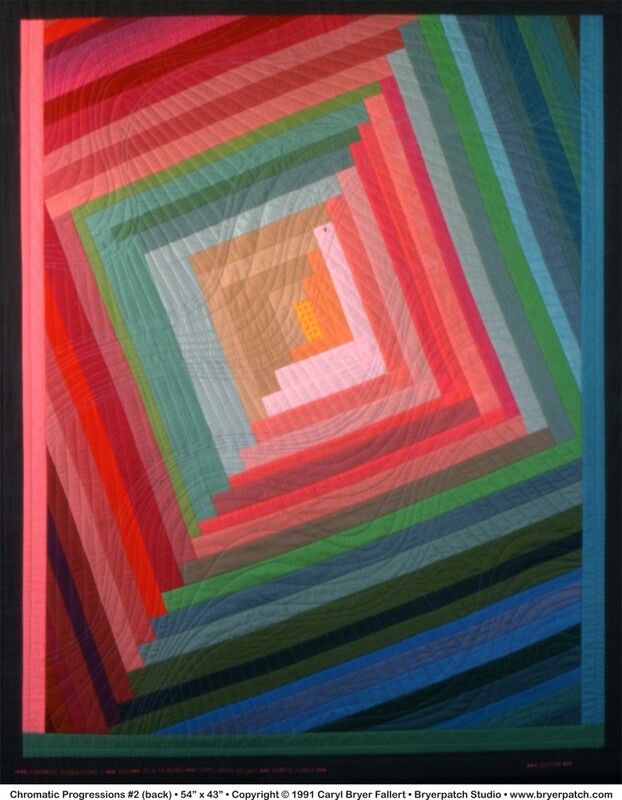 The colors of the tucks and the background strips intersect randomly, creating the illusion of movement and light. 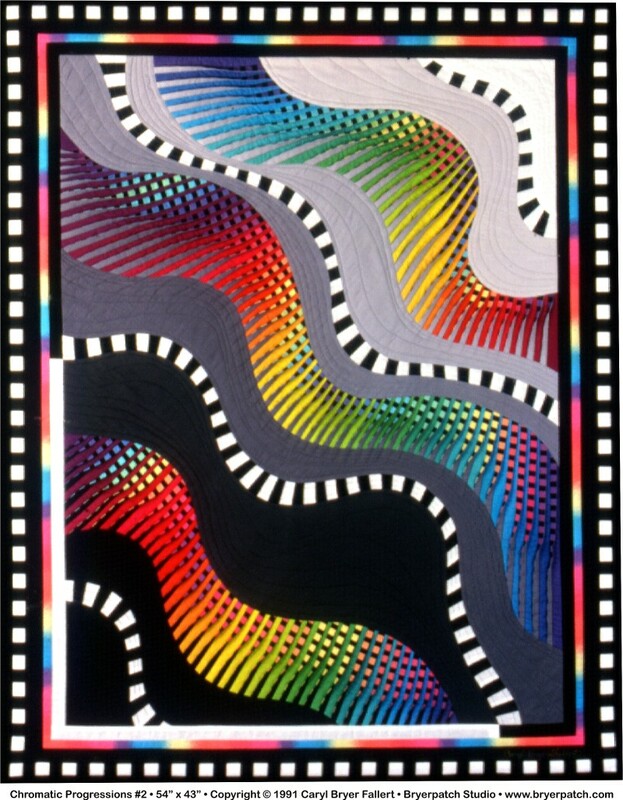 Between each of the three curving areas of color, is a floating ribbon of black and white checks, pieced in a curve. On either side of these pieced checks are solid colored background areas, which graduate from black in the lower left corner to white in the upper right corner. The back sides of the tucks are either black, medium grey, or light grey, and they appear to grow out of the adjacent background areas. 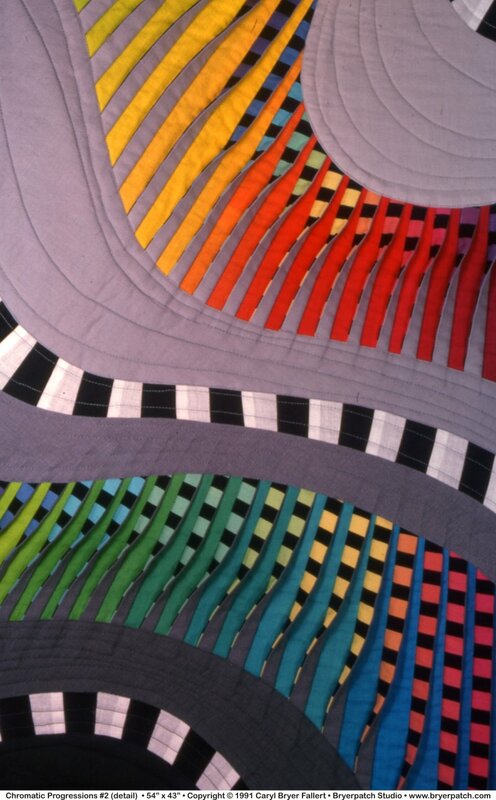 The pieced back of this quilt is a large, traditional "Log Cabin" block, set at an angle. 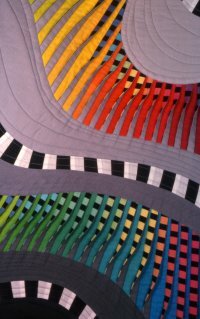 My use of a traditional block on the back of this art quilt is my tribute to the creativity of the many anonymous quilt artists of the past. 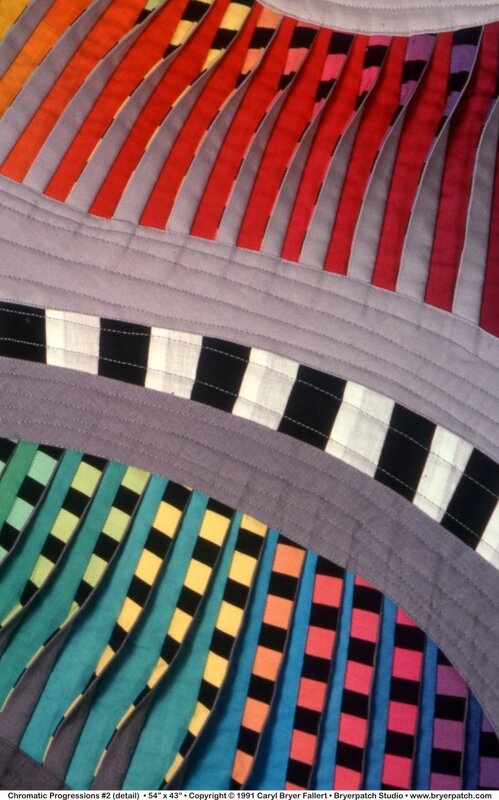 The Oriana Singers of Chicago asked me to create this quilt, for an exhibit of art that interprets music at the Contemporary Art Workshop in Chicago. 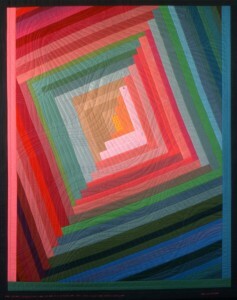 In musical terms, the main theme of this quilt is the division of space by flowing diagonal areas of color and texture. A different variation on this theme is used in each of the three colored areas. Rhythm is created by the repetition and regular placement of the "tucks". 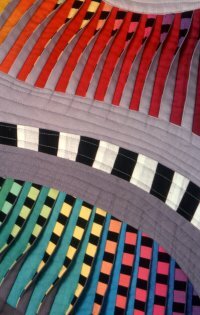 The curving, flowing, quilting lines echo the main theme, while the black and white checks provide a contrapuntal theme. 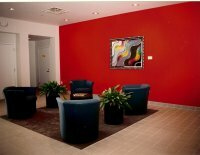 A crescendo of greys is used in the background. Chroma is the quality of color, measured by it's wavelengths and purity. 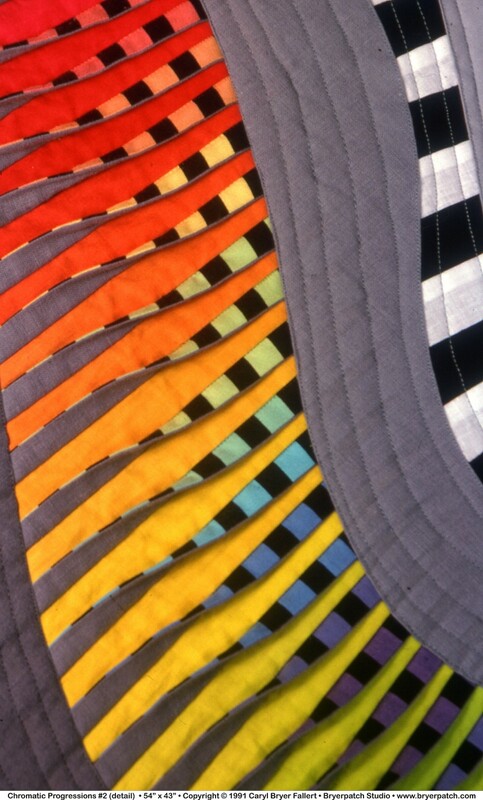 In this quilt, a progression of pure hues is used, in which the change in wavelength from one to the next is regular, and very slight. This parallels the musical chromatic scale, in which the smallest intervals between tones are used. 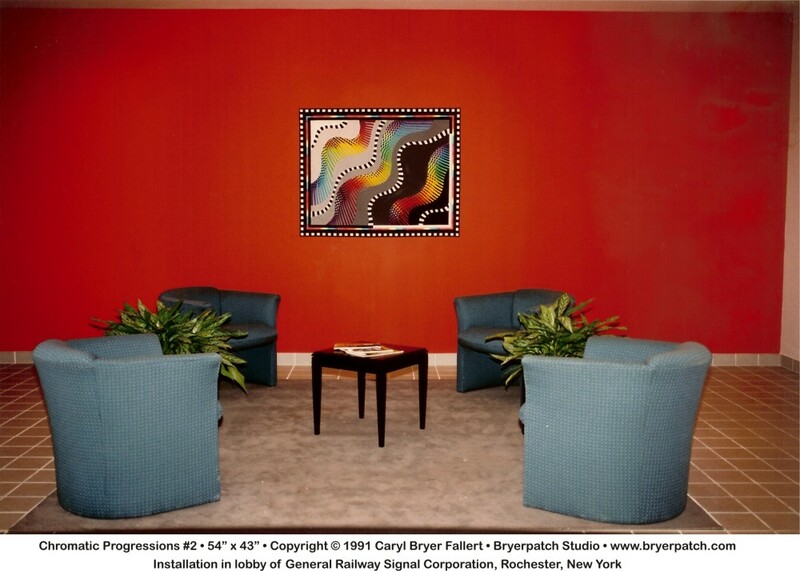 This quilt was purchased in 1993 for the lobby of the new headquarters of the General Railway Signal Corporation in Rochester, NY. 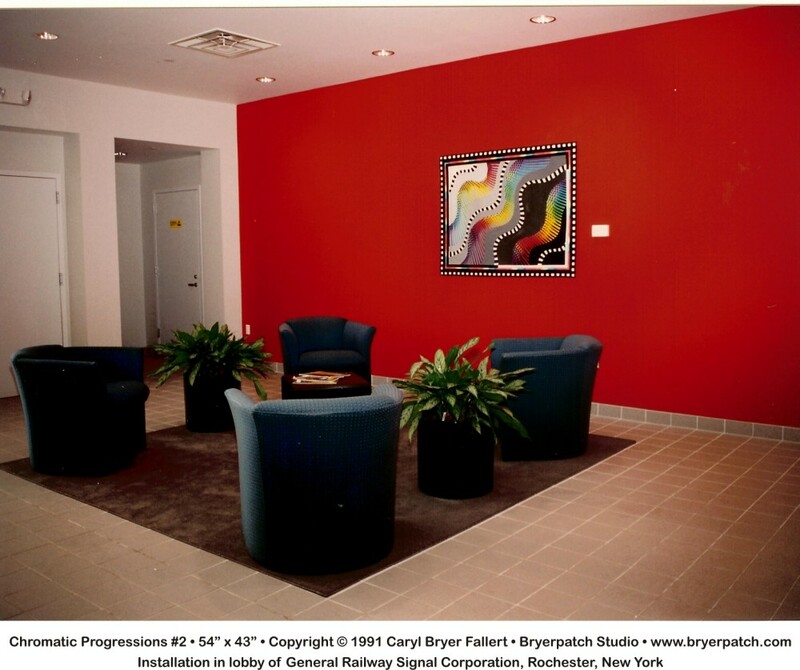 When they closed, the art collection was auctioned on eBay and this piece was purchased by a private collector in Livermore, CA.